Ceremonies mark passages in life. In many cultures these passages are observed with significant celebrations which include rituals, vows, and honoring of ancestors. As an ordained Master Life Cycle Celebrant®, graduate and faculty member of The Celebrant Foundation and Institute, I will craft a ceremony to reflect your individuality. At our first meeting I will give you a packet of ceremony elements to choose from, including Wedding and Ring Vows, Readings (prose, poetry and a few religious readings) and unique Unity Rituals. OR you may have your own idea. The packet also contains a questionnaire for each of you to fill out. I will use this to create YOUR personal ceremony. We will work together to make YOUR ceremony exactly as YOU want it. I am open and affirming, and I appreciate the need to come together to celebrate, mourn, comfort and support each other. Whether you are secular, religious, spiritual, nondenominational, interfaith or multicultural, I will carefully listen to your stories, memories, beliefs and intentions without judgement. It will be a great privilege to craft a ceremony for you that is as unique as you are. Your special day will reflect YOU! I am available for ceremonies in the St. Louis, Missouri area as well as Southern Illinois. I look forward to hearing from YOU! Clients? My ‘peeps’! It is my greatest joy when I meet with couples and we just “click!” You are passionate, creative, joyous and may love thinking outside of the box. 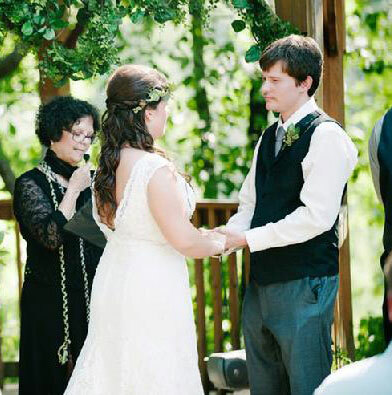 Your wedding ceremony is the most important part of your wedding day. I believe that the words you say to each other are what marries you – not the license (definitely important), the dress, the cake, the venue (all important in their own right and, of course lovingly chosen). These words have weight and they should be, at the very least, words of which you approve. My passion is assisting you in finding the perfect words to express your love and commitment to each other. Let’s warmly assist your guests in feeling your love and joy. Why do my clients choose me? 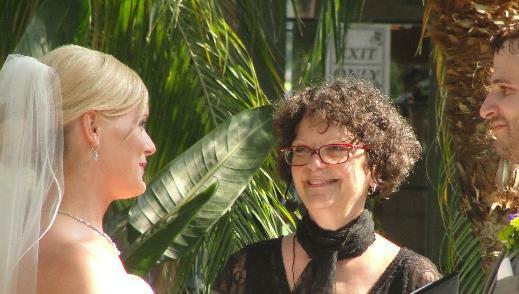 My clients choose me as their Professional Wedding Officiant, Master Life-Cycle Celebrant and Funeral & Memorial Specialist because my goal is to provide them with a personal and unique ceremony, a ceremony that reflects THEM and their Story. and we tell them to others in order to explain ourselves. The ceremony that I create for them and you is always one-of-a-kind and always approved by you. There are as many types of ceremonies as there are people. Some are more traditional, some more “out there!” Big, small and in between. There is no limit to your Imagination! 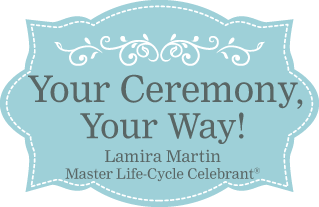 Lamira Martin is a Master Life-Cycle Celebrant serving the St Louis area. 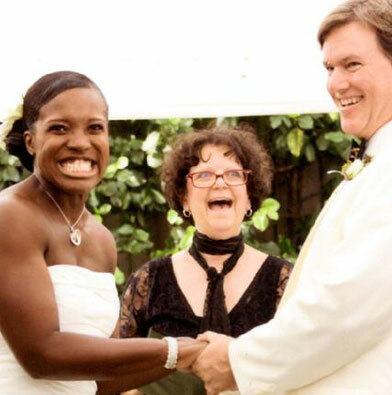 She offers officiant services for Weddings, Vow renewals, Baby namings, adoptions, Divorce, Funerals and many more ceremonies. 2019 © Your Ceremony, Your Way. Designed by Chicago Web Design Company, Indigo Image.